After Titli, one more Indian film is going to Cannes this year. 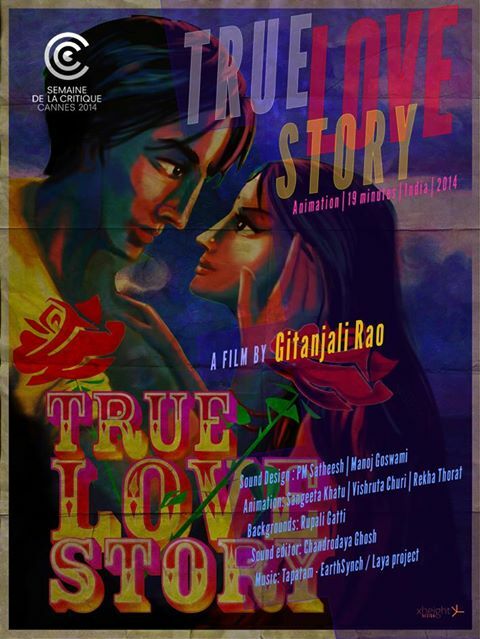 Gitanjali Rao’s 19 min animation short film True Love Story has been selected for Canes Critics Week. Her earlier short film Printed Rainbow premiered in the same section of Cannes in 2006 and had won three awards. She was also on the jury of Critics Week Short films in 2011. In her words, True Love Story is a journey through the seductive, treacherous streets of Bombay. In a city soaked in Bollywood dreams, it moves from the fantastical to the viscerally real. True Love Story is a painted ode to romance. Did Anupam Kher lie about ‘Final Solution’?